Thank you to the Edmonton Arts Council for their support for this project. September 29 to November 30, 2016. OPEN BOOKS CANADA A LIVRE OUVERT catalogue available online. Note: participation of the Canadian artists in this exhibition was cancelled due to the artwork being censored by Chinese custom officials and the work returned. Brain Storms: UAlberta Creates, Enterprise Square Galleries, Edmonton, Alberta, Canada, September 25, 2015 - January 23, 2016. IMPRESSIONS 2015 PrintMatters membership exhibition, curated. Burning Bones Press, Houston, TX. Five week residency, January/February. Expressing the Social Conscience: Art Prints and Human Rights, curated by Thalia Vrachopoulos and Bill Pangburn, October 29-March, 2013. 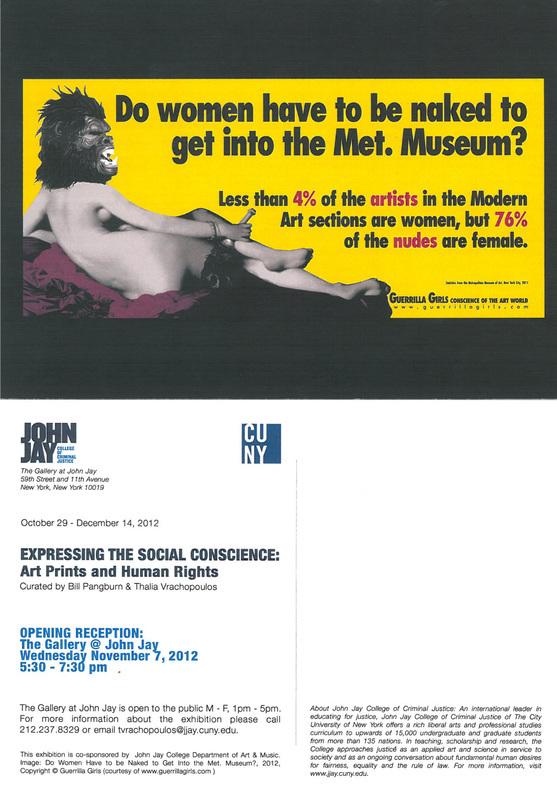 Exhibition coincided with 2012 IFPDA Print Fair; John Jay College, New York, NY, USA.